The World Anti-Doping Agency (WADA) has officially removed Cannabidiol (CBD) from its list of prohibited substances. CBD has become increasingly popular among athletes due to its anti-inflammatory and muscle relaxing properties. Athletes, such as Michael Phelps and Nate Diaz, who infamously brought CBD vaping into popular culture when he vaped during a post-fight interview, can now use the medicinal cannabinoid without fear of being banned. 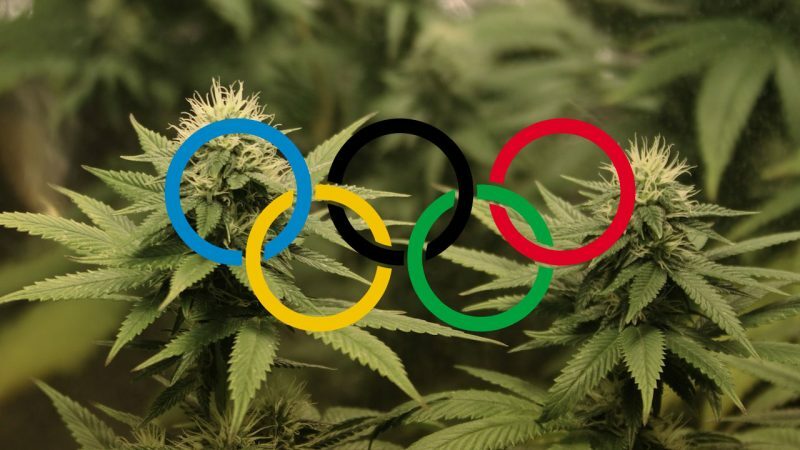 The move to loosen regulations on cannabis began in 2013, when WADA raised the acceptable THC/blood level from 1.50ng/ml to 150ng/ml, allowing athletes to consume cannabis before and after, but not during, Olympic events. Cannabis was placed on the Prohibited List by the WADA when they created it in 2004. Cannabinoids were places under all three parameters including performance-enhancement, actual or potential health risk and violation of the spirit of sport. The WADA views cannabis as a “performance enhancer” due to, ironically, its medicinal properties (which the US and UK Government vehemently deny). The agency simultaneously claims that while it is a “performance enhancer,” cannabis also impair physical activity. Due to cannabis’ medical properties, such as its ability to relieve muscle pain post-workout and reduce anxiety, the herb was banned. Now, however, athletes can enjoy the soothing medical effects of CBD without fear they are unfairly gaining an advantage, because every athlete now can (and should) use CBD. The WADA also claims that cannabis carries a potential health risk, based on studies which examined its effects on the heart and mind. These studies, however, were produced by the American National Institute on Drug Abuse, an infamously anti-drug and anti-science organization. According to The WADA, cannabis’ potential to raise heart rates can increase the risk of athletes suffering heart attack, while the infamous “paranoia” could negatively affect an athlete’s performance. The WADA also claim that the use of cannabis violates the spirit of sport, due to the fact that the substance is illegal in most competing countries, therefore violating the “moral values” that ought to be upheld up by sports organizations. Now the same organisation has removed the non-psychoactive cannabinoid, paving the way for athletes to compete at an even higher level than previously thought. The first official event these regulations will affect will be the 2018 Winter Games in South Korea. Are you as excited as we are to watch more athletes like Nate enjoy their CBD in press conferences? About time. I mean, who has ever had any kind of performance enhanced by CBD?